Immediately liveable, this classic single level home offers superb scope to capitalise on its prestigious New Lambton address and makes an ideal investment or lifestyle opportunity to buy now with a view to knock down and build a contemporary family home at a later date (STCA). 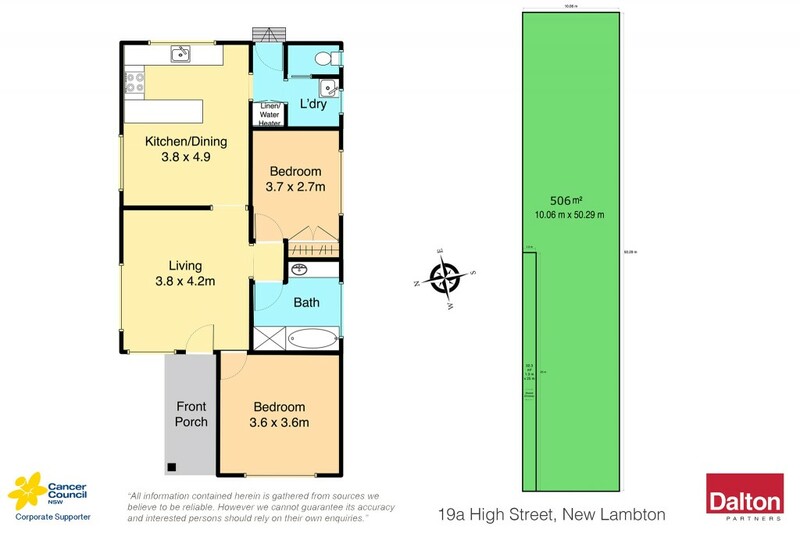 Currently configured as a solid two bedroom home with a well maintained kitchen and bathroom, it sits on a generous level block amid other quality homes and is a short walk from New Lambton's iconic shopping village, child friendly parks and sought after schools. * Exceptional lifestyle or investment opportunity. * Cosmopolitan setting, close to cafes, schools and parks. * Perfectly liveable now with a view for future rebuild (STCA). * Configures two bedrooms, one bathroom, one living. * Surrounded by quality homes in a family oriented street. * Generously sized, secure and level block. * Zoned for sought after New Lambton Public and High School.